There is no shortage of global hostility towards Facebook at the moment, as a result of recent revelations about their use of user data and dissemination of fake news. But the Ugandan Government has taken this to a whole new level and come up with a novel approach to try and steer Ugandan social media users away from international social media like Facebook and WhatsApp; a social media tax. Unfortunately for them, any Ugandan will be able to avoid such a tax with ease. All they will need to do is connect to a VPN. Which makes the whole idea of a Ugandan social media tax an exercise in futility. But of course, the Government are planning to push ahead regardless. Speaking at a recent meeting of the African Telecommunications Union Council of Administration, which was held in the Ugandan capital Kampala, the Ugandan Minister for ICT and National Guidance, Frank Tumwebaze, staunchly defended the new policy. Addressing the media, he described the proposed tax as a ‘brilliant idea’ and tried hard to explain the logic behind it. His justification was that because social media apps such as Facebook and WhatsApp were developed overseas, Ugandan’s are merely consumers of their services and profits from these apps are all being made overseas. Tumwebaze claimed that the Ugandan Government wanted to foster online innovation at home and claimed that by taxing these overseas services, Ugandan’s would be encouraged to develop their own rival apps. Concerns have already been raised about whether the tax is likely to serve as a form of internet censorship and keep Ugandan’s away from the free-flowing information that is available on social media apps like Facebook and WhatsApp. Tumwebaze use of China’s WeChat as an example also raised concerns over the government’s surveillance plans too. But Tumwebaze has insisted that the tax should not prevent anyone from accessing information. It is unlikely that the short-term aim of the Ugandan Government is censorship and surveillance as such sophisticated regimes are beyond both the resources and national infrastructure capabilities of Uganda at this time. But this leaves the question of what the Ugandan Government’s motivation actually is. Many Ugandan’s believe that the proposal is little more than a money-making exercise. This was denied by Tumwebaze who insisted the objective was to make the market more accessible for Ugandan web developers, but of course, increased Government revenues will be a result of the new tax as well. Exactly how the tax will work in practice is still unclear. Some commentators seem to believe the tax will be levied on services available on these sites, such as VOIP phone calls, which can be made for free on WhatsApp. But if that is the case, then the move appears to be closer to an effort to protect local telecoms profits by trying to stop people using these free online services instead. This approach has been used in a number of Middle East countries in recent years, including Qatar, and Saudi Arabia. Such a tax would appear to support the notion that this move is all about money and it is hard to see how a tax of this nature would help to support online innovation in Uganda. But however the social media tax is finally implemented and whatever its primary motivations really are, the whole concept is completely ill-thought-through and destined to fail in any case. That is because there is one simple tool which any Ugandan will be able to use to get around the tax, hide their social media activities from the Government, and continue to use Facebook, WhatsApp, and all their services as usual; a VPN. 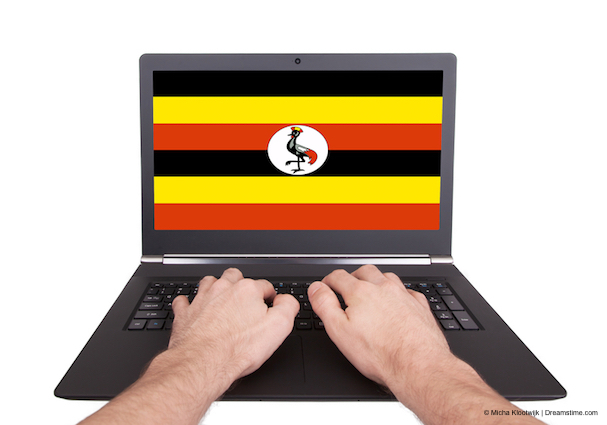 By connecting to a VPN, Ugandans can encrypt all of their online activity to stop both their Government and their ISPs from seeing what they are doing online. They can also hide their IP Address and so make it almost impossible to trace their online activity back to their actual location. Ugandan’s are already very familiar with VPNs. Many turned to them in the wake of social media blocks put in place by the Museveni regime during the recent elections. And there is little doubt that they will defy their government and turn to VPNs again if this ill-conceived social media tax really does ever see the light of day.